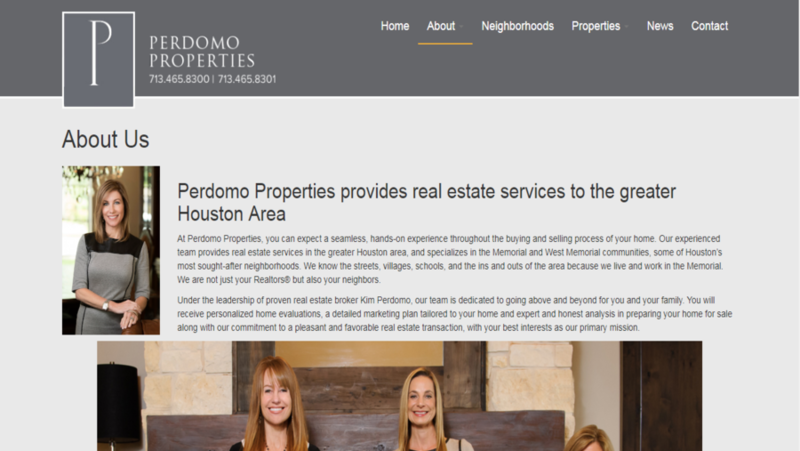 At Perdomo Properties, you can expect a seamless, hands-on experience throughout the buying and selling process of your home. 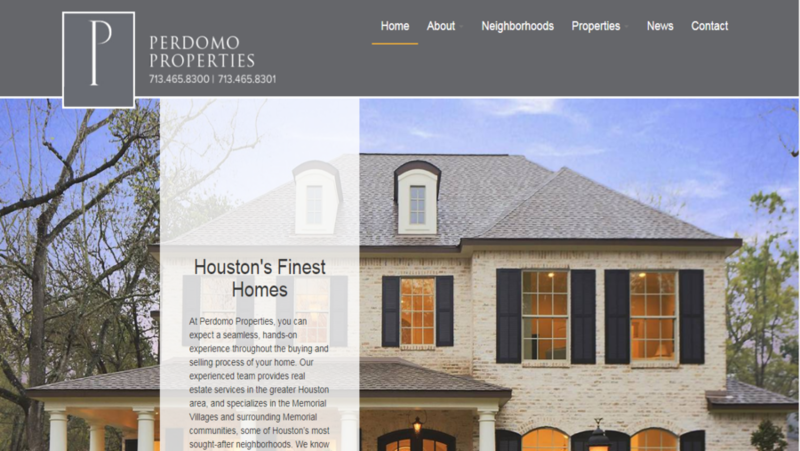 They provide real estate services in the greater Houston area, and specialize in the Memorial and West Memorial communities, some of Houston’s most sought-after neighborhoods. 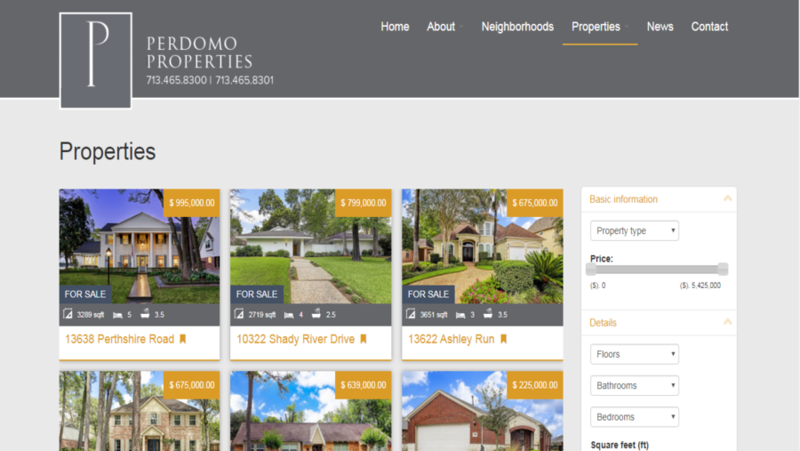 This website is an information website about real estate listings in Houston. 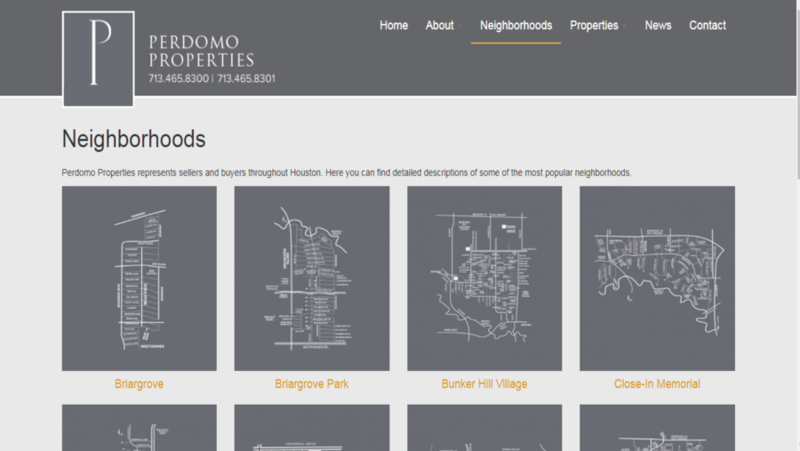 This is built in ExpressionEngine CMS by our experienced EE development team.